Fallout 76 didn't have a smooth launch. It was critically panned as a Fallout game that missed a lot of what people wanted from Fallout, and a survival game that doesn't quite stand up to the genre's best. The game was beset by post-launch problems: poor communication, patches that broke more than they fixed, issues with that bag in the Power Armor Collector's Edition, and a small leak of customer data. The blows just kept on coming and people started to leave the game behind. The narrative behind Fallout 76 calcified into a negative screed. For some, it kicked off a reframing of past Bethesda releases, focused on the bugs and patch problems that have become a firm stereotype for the developer. In the midst of all this though, people are still playing Fallout 76. They're still enjoying the haunted wilderness of West Virginia. They're spilling out of the Vaults, diving into the lost vestiges of civilization, and launching many, many nukes. For them, it's not all doom and gloom. When the nuclear-based endgame for Fallout 76 was announced, there were concerns. Would there be rampant griefing, with high-level players launching nukes at low-level players all the time? The reality is different. In Fallout 76, notice of an impending nuke launch causes players to gather around the red strike zone. Some gather just to watch, others in preparation for farming the high-level creatures that spawn in a nuclear region. The nuke hits, changing the blue skies into a bright yellow. The impact blows debris around before the mushroom cloud slowly begins to take shape out of the blast. There's an intense atmosphere to the blast zone. As you step into the zone, the environment changes from the normal color palette to the pale orange of the cloud. It's a nuclear fog, hiding mutated horrors that'll kill the unsuspecting player. Behind the helmet of your power armor, you're safe, left with your heavy footfalls and fellow explorers. The radiation storm punctuates the fog with random flashes of lightning. And then the killing begins, with Scorched, Scorchbeasts, and Scorchbeast Queens resolving from the mist only to be met by a hail of player gunfire. It's odd to say this, but Fallout 76 is at its best when a nuke hits. It brings to together tension, atmosphere, and community in one place. And in Fallout 76, part of that community is spouses, family, and friends. "I can play it with my husband. That makes it inherently superior to all other Fallout games," says player Newtinpls. "The fact I can play this game with a group of friends and work together is what keeps me loading into it." adds another player. "I'm usually the one who discovers something amazing or finds a mission that gives good loot and I wait for my buddies to come online to show them." Once you get used to the gameplay, Fallout 76 is something that can fade into the background, becoming akin to an interactive chat room. 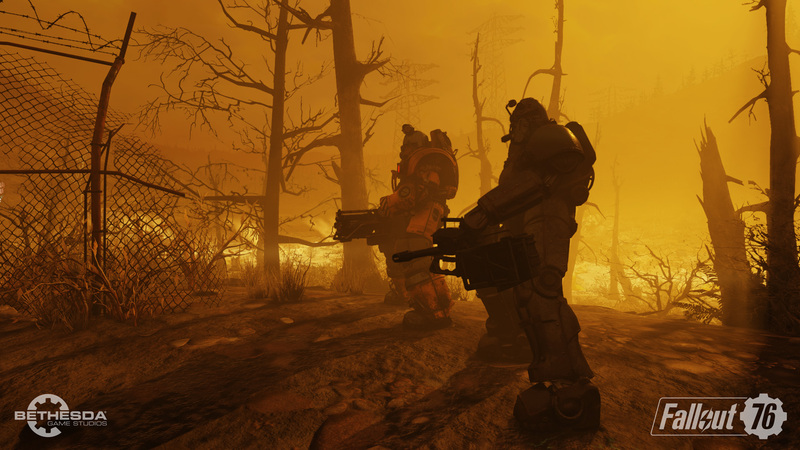 Fallout 76 isn't entirely unique in this aspect, as players of World of Warcraft, Final Fantasy 14, and Destiny 2 can attest, but it's the only game that allows you to wander together through a post-apocalyptic wasteland. Bethesda forum user UprightShark says they use the game to play with their son, who lives across the country. Another player says they feel working together in Fallout 76 actually helped strengthen the relationship between them and their wife. "There is no script I must follow, I can write my own adventure. It allows me to use my imagination and just have fun. But the best thing is being able to share the Fallout world with my brother that lives hours away. Several times a week we get together and safari across the wasteland killing everything we encounter," says player Swifts75855. Using Fallout 76 as a connection works with random strangers as well. The size of the world map and the low number of players on each server means that you can go hours without seeing anyone else. But many report that the players they do encounter are exceedingly kind, and some even note that they go out of their way to help others. "The vast majority of other players I've come across in the wasteland seem quite pleasant, a quick emote and on their way at worst and at best helpful and generous with spare gear. Perhaps it's as a result of a smaller community or maybe [Bethesda Game Studios] hamstringing the PvP so that it's mostly unappealing," says ResetEra poster Lamptramp. A Bethesda forum poster says that enjoy seeing "a fresh player running away from a level 15-ish Super Mutant," giving them a chance to jump in and help. Another talks about "the pleasure of paying it forward," by giving a new player better loot than they could normally attain on their own. "After a few hours of wandering, I found a guy fresh out of the vault who had stumbled across a nest of feral ghouls and was shouting into his microphone as he frantically tried to kite them. I hunkered down in a bush and proceeded to rapidly take out the ghouls with my pipe revolver from invisibility," Redditor DaveYanakov tells me. "Once the guy realized he was safe he cried out, asking who was there to come to their rescue. I remained silent until he wandered off a few minutes later and went to investigate the bag he dropped, finding purified water and Salisbury steak. For a brief moment as I contemplated this offering, I realized that I had become a literal god to another human being." "There is no script I must follow, I can write my own adventure." The C.A.M.P. has fallen short for some because it doesn't allow you to truly build permanent encampments like the settlements in Fallout 4. Jumping from server to server can see your C.A.M.P. uprooted from a great location. When I'm playing, I occasionally spy that campfire in the darkness, a sign that another player's C.A.M.P. is nearby. Not every encampment I've come across has been friendly, but for others, the experience has been nothing short of grand. "I specifically look forward to C.A.M.P. encounters," says ResetEra poster Coriander. "My favorite moments in the game are when another player stumbles upon my brick home near Riverside Manor and makes him or herself comfortable there. I've had nothing but friendly visitors who come in, emote their hellos, use my workbenches, repair their power armor, help themselves to the purified water I make freely available, and sit on my front porch with me before they head off to whatever they're doing next. Most of my admittedly limited friends list in 76 consists of people who added me after visiting my C.A.M.P." One thing I can praise without caveat in Fallout 76 is the excellent world design of post-apocalyptic West Virginia. I won't forget the first time I ran into the Whitespring Resort, this dead monument to the old civilization, kept pristine by automatons who don't know their masters are dead. In the middle of a beautiful golf course, you'll discover the corpses of two employees or vacationers who decided to spend their last minutes alive golf cart jousting. Deep in the Mire near Harper's Ferry, the swamp has reclaimed buildings like the Haven Church, which now looks like the focus of a Southern Gothic horror film. If you stick with Fallout 76, you'll see an amazing amount of variety in this shifted West Virginia. And within these larger regions, there are caves, tunnels, and hidden bunkers. There's the visual kick when you see a place, and another once you get a chance to truly explore it. "The Cranberry Bog, though incredibly dangerous, is beautiful to look at. Did you know there's also a tunnel that runs underground that protects you from Scorchbeasts? I didn't. It's incredibly cool," says Redditor Xade_Yt. I noted in my review that due to the huge world map and small player count, it can be a while before you actually meet another player. This can make Fallout 76 a very lonely experience, but it also adds a degree of tension. You never really know what's around the corner, whether it's a player or some radioactive beast looking to tear you apart. "The first time I visited the Alpine Cabins," explains Fallout 76 player Bigfatdan, "I heard a scream so naturally I had to find out where it came from. I find the cabins and the ground starts shaking. I thought it might be something huge attacking, so I hid in a cabin. The door shut. I noticed the pictures spinning on the walls. I thought 'What the hell is going on?' and decided to get out of there. As I reached for the door, a Scorched jumped me. I literally screamed and started shooting as fast as I could. I probably hit him with a whole clip. After my heart slowed back down I did a little investigating and found out what was going on. Those kinds of moments are why I play Bethesda games." And if you're willing to explore every crack and crevice, Fallout 76 always pays off. "Even when I think I uncovered everything in the map, I find one more thing," one player says. It's a huge map and doing Fallout 76's critical path only shows you perhaps 40 percent of what it has to offer. Sometimes, it's all about the loot. There are players who don't need the story, the world, or even friends and family. They're about getting one item with slightly better numbers than what they have. The min-maxers who squeeze every last bit out of their gear choices. "I wanna say that the constant high you get from being a post-apocalyptic kleptomaniac really isn't done in any other game quite like Fallout," says one ResetEra user. "The stuff you pick up feels like someone else left it behind. You just put your virtual hands all over everything as soon as you enter the wasteland. Guns, food, water, etc.-it's all yours as soon as you see it." 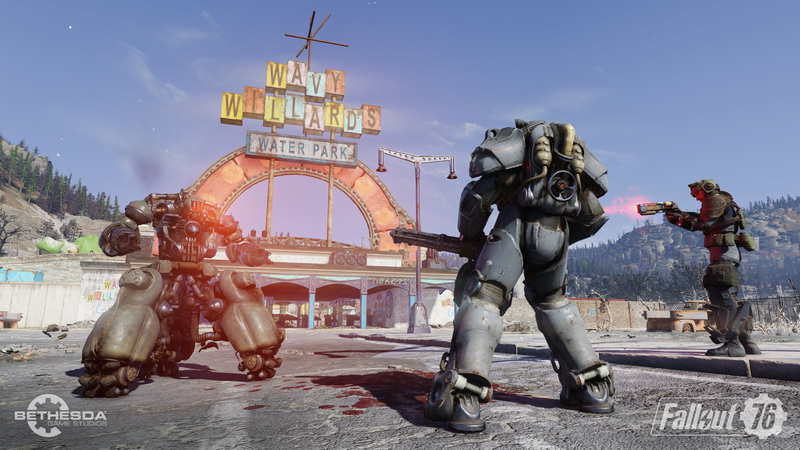 One player compares Fallout 76 to another loot-heavy first-person shooter, Borderlands 2, calling it "addictive." Another notes that they were obsessed with collecting the random teddy bears that are strewn all throughout Fallout 76. A player named ZangBa tells me me that he fell out of Fallout 76, only to return after a weapon in Fallout 4 inspired him to come back. "In a way, the land itself is telling the story of what it means to be human: struggles, changes, moments of humor and of sorrow." On the flipside are those who are there for the story of Fallout 76. Critics and some fans lashed out at it for lacking the kind of storytelling you'd expect from Fallout. The interactions it's known for , even through simple dialog trees, is what makes previous Fallouts memorable. In contrast, most of Fallout 76's story is delivered through holotapes, the spoken word of people long dead. But some find the holotapes and notes to be pretty thoughtful and entertaining in their own way. "I'm 61 years old. I have recordings of my great-grandmother telling stories and reciting poetry which link me back to the not-so-distant past," explains player Maxikyd. "The holotapes in game are like a link to the past as well. The people are gone, but they tried to leave a part of themselves behind-a way to help the restore the world by aiding the people who follow, and a way to not be forgotten. There are no living humans left, yet the entire Appalachia is filled with their stories: their lives. "Wandering around, I found a skeleton with a small troupe of garden gnomes and flowers beside it, as though by an altar. It was at once humorous, and sad. It made me wonder what kind of person would take the time to collect the gnomes and set them up to honor the fallen one, and what was the relationship, if any, between the skeleton and the person honoring him. I even took a picture. "In a way, the land itself is telling the story of what it means to be human: struggles, changes, moments of humor and of sorrow. Maybe that's deeper than you wanted to go. I guess most people probably just play for fun and entertainment, but everyone plays with their own style. Maybe it's my age, but I look to the future with hope: that the world will be a better place for the next generation, that I made a difference in the world, and that I might in some way be remembered after I'm gone." The truth is that your feelings on a game are holistic. Very few people add up the graphics, sound, and story, come up with a point score, and then see if that score crosses their personal threshold for what makes a good or great game. A game can absolutely fail on delivering great combat but resonate with you on a narrative or aesthetic level. Or maybe the subject matter is near and dear to your heart. As an example, World of Warcraft may bore you, but for me, my love is still driven by the memories forged during my long years of playing the game: figuring out fights in Karazhan, staying up until 3 a.m. trying to clear an achievement in Zul'Aman, stepping into Icecrown Citadel for the first with a guild full of friends at my back. Those moments and memories make World of Warcraft for me, and without them you'd have a different estimation of the game. You engage with a game on a moment-to-moment basis, and how you feel about that game is the sum of all those moments. 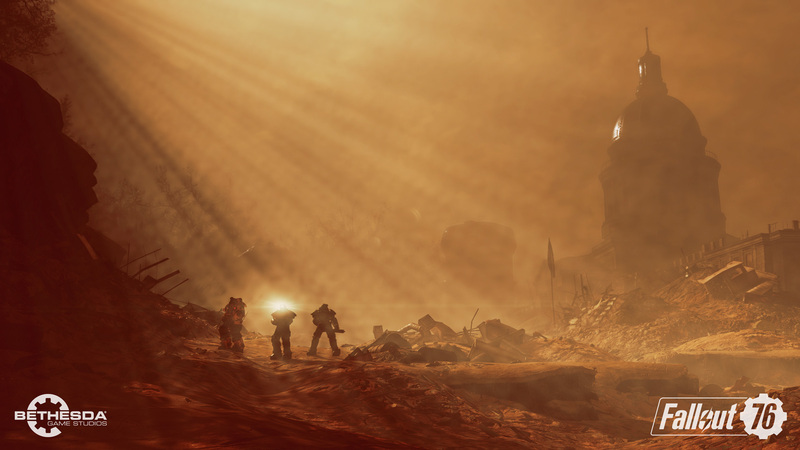 Even in only two months, Fallout 76 fans have experienced moments that are memorable to them. Weapons, deaths, and encounters with players and enemies alike. 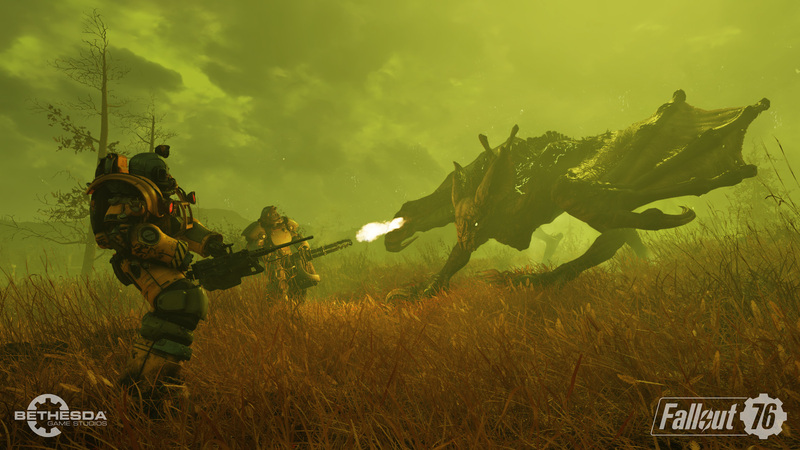 "I was underway with my buddies in Charleston, escorting them while they were doing the Firebreather trials," begins one player, relating an encounter with a higher-level Scorchbeast while escorting low-level friends. "We began walking down the hill to the fire station. There it came over the hill, swooping down on us. After [my first encounter] I had invested two days of farming lead and steel to craft nearly 5,000 shot [.50 cal machine gun]! So I was prepared. The plan was to get enough time to get us into the station and from there porting pack to Flatwoods, where our bases were." "So the dance began. It circled over us, booming its destructive voice all over the landscape. I pumped hundreds of rounds into it, damaging it slowly. Got it even down to 50 percent! Then a guy in a [X-01 Power Armor] showed up, level 101, with a Gauss rifle. Soon the beast was down to 5 percent or so. It suddenly turned back and retreated in a fast dive down to Poseidon Power Plant, behind our horizon. We had won. Didn't down it, but we won." Other players spoke of interesting situations with others finding their own roles in Fallout 76.. One Redditor posted about being saved by two higher-level players in full power armor while role-playing as two members of Warhammer 40K's Ultramarines. Another talked about a player in the clown outfit from Freddy Fear's House of Scares in the Mire, silently following them around. The clown didn't do anything but follow and emote, eventually killing themselves with a Molotov. One player took it upon themselves to become a cultist for the Mothman. If Fallout 76 is light on things to do at the endgame, many players are just entertaining themselves in the meantime. "I spent $60 on the game. It is still Fallout even with its flaws." Fallout 76 has problems that the community itself acknowledges: Farming for legendaries can be repetitive, C.A.M.P. raiders can become a common occurrence, some enemies (like Scorchbeasts) need tweaks, and there are still a host of bugs plaguing the game. The community loves Fallout 76, but they acknowledge its problems. It's a complicated set of feelings, where some are just having fun, some despair the state of the game, and others hope for a brighter future. "I honestly can't think of one good thing I enjoy without some bug or feature taking away from the moment. I keep coming back for more, but by the end of the day I often ask myself 'why?'" one player tells us. "I spent $60 on the game," says another. "It is still Fallout even with its flaws. I am hopeful that Bethesda will actually fix some of the problems and implement some of the suggestions we have made." That's not a hope entirely in vain. Bethesda is working on Fallout 76, addressing bugs and player issues, and adding new content. Fallout 76 is in a bad place now, but so was The Elder Scrolls Online when it launched nearly five years ago. It took two years for Zenimax Online to develop the One Tamriel update, and another year before the excellent Morrowind expansion came out. If Bethesda follows the same path, Fallout 76 could be a winner in a year or more. But even if it's not, there are still those who are heading out of the Vault and into the wasteland to find their fortunes.